There are always some smartphone company that go into overdrive when it comes to certain features. One of the leading features of this kind is the display size. Many companies have come out with supersized phones. While the ideal smartphone size is definitely 4.5-5 inches, beyond a shadow of a doubt, it hasn’t stopped smartphone companies from going bigger on their phones. The Sony Xperia Z Ultra previously crowned with the biggest smartphone tag, is now ready for a revamp and as a tweet from Sony shows, the new version might have a screen bigger than 6.44-inches. The picture looks straight off like the Sony Xperia Z Ultra. Undoubtedly, if there is a company whose supersized devices don’t look bloated but rather oozing with style and glam factor, it is Sony, which is the reason basically to get excited about the next generation of Sony devices. 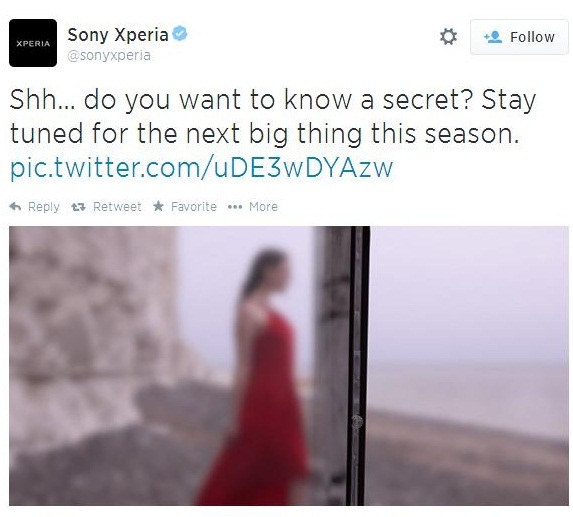 People have questioned this announcement and have even claimed that this might be the Sony Xperia Z3 but that seems highly unlikely so soon after the Sony Xperia Z2 release. The question then is – What should it be called? The Sony Xperia Z2 Ultra – the Sony Xperia Ultra Z 2? I am leaning towards the former.